The Powerball jackpot has reached a whopping $750 million. This enormous prize is up for grabs for this Wednesday’s draw! You can play Powerball online for a chance to become a multimillionaire! All it takes to win the $750 million is matching the 5 main numbers and the Powerball. 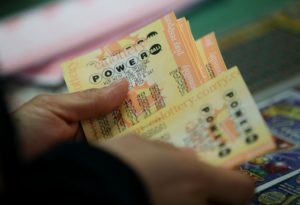 That’s what it took for the Powerball jackpot to reach the mouth-watering amount of $750 million, a streak of rollovers. At the last draw, the winning numbers were 24, 25, 52, 60, 66 and a Powerball of 5. The first prize has not been won since the draw of December 26th, 2018, when Dave Johnson, a truck driver from New York, won a huge jackpot of $296.3 million. His story is truly heartwarming. He bought his ticket when he stopped for gas and after the draw, he didn’t even think to check the results because he did not believe that he would ever win. Not even when his colleague told him that the prize was sold at the very gas station they stop at every time did he think it was worth checking out. “I turned to myself I said, ‘Aw, that’s not me, man. That’s not my luck.’”, said Mr. Johnson. As it turns out, he had every reason to check the numbers because he was the sole winner of the $296.3 million Powerball jackpot. This week, you can follow in Dave Johnson’s footsteps and win the grand jackpot for yourself! Play Powerball online on theLotter from anywhere in the world and take part in this huge lottery event! 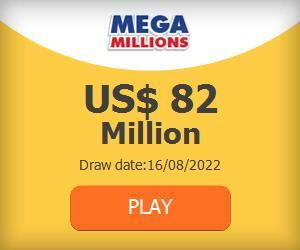 You could win the $750 million prize on Wednesday evening! Don’t Forget to Power Play! The $750 million jackpot is clearly the star of the show in Saturday’s draw, but there is always so much more to the Powerball than the jackpot. There are many more prizes you could win in the game, and with the Power Play multiplier, you could get 2, 3, 4, or even 5 times the regular amount! Remember to tick the Power Play box when you fill out your ticket!